If you are a US federal employee impacted by the government shutdown and are unsure how to proceed with registering for this meeting, please contact Val Pakaluk. 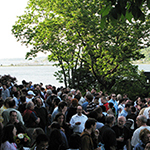 We are pleased to host the seventh annual Cold Spring Harbor meeting on quantitative approaches to cell biology which will begin in the evening of Tuesday April 9 and run through lunch on Friday, April 12. The focus of this meeting will be on quantitative approaches to cellular dynamics. 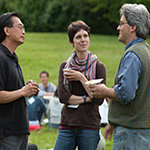 The specific goal is to foster creative and fruitful interactions between experimental cell biologists and mathematical computational scientists who have common interests in understanding the dynamics of cellular processes. The meeting will emphasize the dynamic interplay of experiment, quantitative data analysis and the use of mathematical models and computer simulations to describe data, develop testable hypotheses and to gain deeper insights into systems level design principles that govern cellular dynamics. In addition, the meeting will provide an opportunity for interactions among researchers interested in the dynamics of normal healthy cells and those who wish to understand how those dynamics are disrupted in diseased cells. For those interested in presenting algorithms and/or software for computer simulation, image processing, data analysis and visualization, we will provide two formats: short informational talks, and longer interactive demos, to be held during poster sessions. If you are interested, please specify the format you prefer (including both) in your abstract. Click the tabs above to register for the meeting and submit an abstract. Abstracts should contain only new and unpublished material and must be submitted electronically by the abstract deadline. Selection of material for oral and poster presentations will be made by the organizers and individual session chairs. The status of abstracts (i.e., talk or poster) will be posted as soon as decisions have been made by the organizers. We eager to have as many young people as possible attend this meeting. 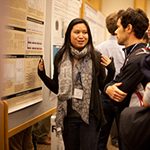 As such, we have significant funds set aside to support young scientists who actively participate in the meeting by submitting an abstract and presenting either a poster or a talk. Please apply in writing via email to Val Pakaluk and state your financial needs. 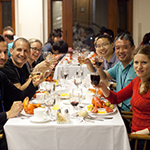 The designated hashtag for this meeting is #cshlcomp. Note that you must obtain permission from an individual presenter before live-tweeting or discussing his/her talk, poster, or research results on social media. Click the Policies tab above to see our full Confidentiality & Reporting Policy.